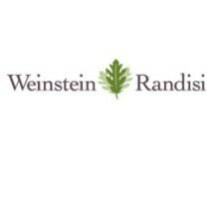 At Weinstein & Randisi, we are committed to helping clients build comprehensive, customized plans for the future – no matter what stage of life they are in. Our Rochester, New York, estate planning law firm is set apart by our attentive client service and our personalized approach, which gives clients exactly what they need to protect their assets and their legacy. It's impossible to know what tomorrow will bring. Our attorneys can't predict the future, but they can help you plan for the unexpected. We work closely with clients, learning about their assets and their goals. Then we craft individual estate plans that fit their needs. Your life isn't the same as everyone else's, so your estate plan shouldn't be either. One-size-fits-all plans allow critical details to fall through the cracks, and often don't give you the options to accomplish your goals. Our lawyers guide clients through the process of not only planning for distribution of their property, but also for end-of-life decisions, Medicaid qualification and nursing home care. At Weinstein & Randisi, we also guide families through the process of estate, probate and trust administration after they have lost a loved one. Our goal is to make difficult times more manageable, so that our clients can grieve and concentrate on being with their families. To schedule a free consultation with an experienced Rochester estate planning attorney, contact Weinstein & Randisi at 585-310-1578 or toll free at 800-768-1780.